Will Public Defenders Ever Get Reasonable Workload Standards? It is a known fact that public defenders have more cases than any other type of lawyer out there. In some jurisdictions, public defenders might have upwards of around 200 active cases at any given time. Compounding matters, because most public defender offices are underfunded, these overloaded attorneys are also over-burdened by a lack of support staff, like law clerks, paralegals, and investigators. That means that nearly all of the administrative and investigative work that district attorneys have help with must be done by the public defenders themselves. Is Change on the Way? One highly-watched case out of Louisiana challenges the state's public defender system and is seeking injunctive relief in the form of smaller caseloads, alongside increased funding and case support services. The case has already won class certification and defeated the state's motion for summary judgment, and seems to have a chance at trial. The class in that case includes all the individuals currently represented by the public defender in the state, and is premised upon a violation of those individuals' Sixth Amendment right to counsel. In short, the case alleges that as a result of the excessive caseloads leading to severe time constraints, public defenders are unable to provide each defendant with competent representation. Louisiana isn't the only state where this type of challenge is being brought. In Mississippi, a similar case is seeking to reduce public defender caseloads, and proposes conditionally releasing non-violent offenders, and postponing those matters until a public defender can be assigned. Unfortunately, in that case, the court has already ruled that the state and governor are immune, which could thwart some of the financial and injunctive relief sought in that matter. 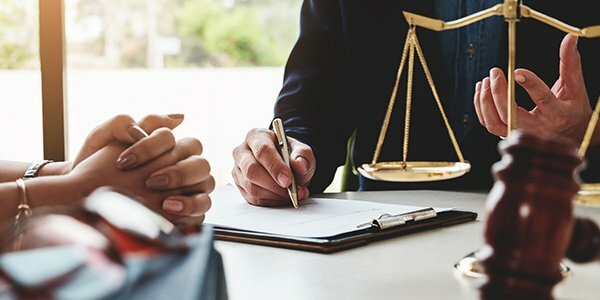 While public defenders and the defendants that rely upon them would likely welcome reduced caseloads and more support, it's hard to deny that public defenders do get one valuable piece of compensation that only other public defenders get to boast about: The experience of handling thousands of cases a year, and actually taking several cases to trial each year. While the job may not be one that most lawyers are lining up for, public defender alumni can often parlay their experience into more lucrative and well supported roles.